Earn more if you sell more. Our affiliate network is powered by MyCommerce. 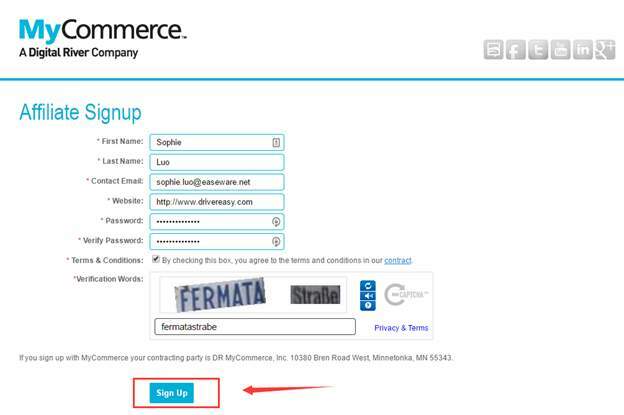 1) Log in to your MyCommerce account. 2) Click Vendors tab and choose Relationships to view more detailed plans and download links for Driver Easy products. 3) In the Vendor ID box, type in 26872 and hit Search button. 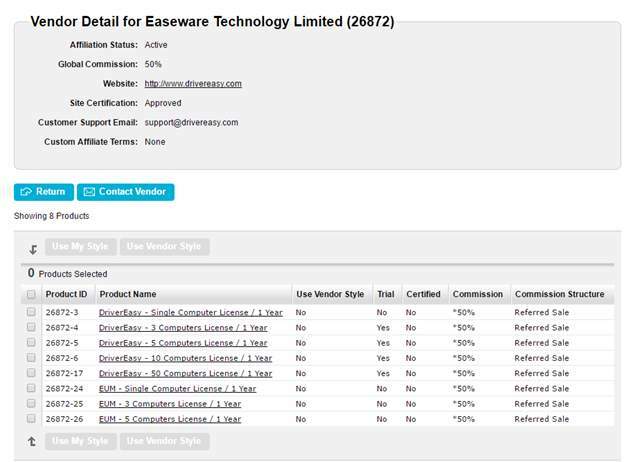 4) Single click Easeware Technology Limited option listed under Vendor tab. 5) You will see a list of Driver Easy products here. 6) Choose the ones that you are interested and view the download and purchase links in detail.